Is weight capacity actually half of the stated value? Lots of questions and comments came in this week through YakAngler, Facebook and email. 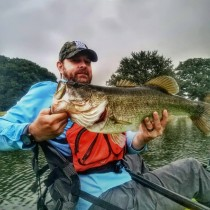 I’ve answered a few questions and had lots of discussions with people new and not so new to the sport of kayak fishing. The most frequent discussion this week was around weight capacity and/or how to avoid water in the kayak. First, let me say this: kayaks will never be 100% dry. It doesn’t matter if you’re in a sit in, sit on or a hybrid. Water, especially in relation to scupper holes, will be around. It’s just how it is. Not to be glib but that is similar to going outside and not wanting to touch the ground. It’s just not reality. I can however offer a suggestion for those of you getting lots of water through your scupper holes and it relates to our other discussion. Let’s talk about weight capacity. Pretty much every kayak lists a weight capacity. A common misunderstanding is the number and what it means. If a kayak lists a weight capacity at 350 pounds, that doesn’t mean a 350 pound person can paddle it. The weight capacity indicates the amount of weight a kayak can hold and still float. For a sit on top, that means it would be just at the water line so most of the kayak would be under the water. There is just no way you could paddle that. So if the weight capacity says 350, what is the paddler size that could paddle that kayak? There is some debate on the actual number. A minimum number I like to use is 25%. You should subtract 25% of the weight capacity to ensure you are in the safe zone. You should be able to paddle the kayak and be fairly safe. 25% from 350 would be a person weighing 262.5 pounds or less. And that is only if you aren’t carrying any gear. Use a bathroom scale and stack your gear on it to get that number, add it to your clothed (with shoes) weight and include your waders if you’ll be wearing them. This would mean a maximum person weight of around 230 pounds if you pack a bunch of gear. You’ll have to check out your gear weight to know exactly. But wait! There’s more! Just because you’re in the safe zone at 25%, it doesn’t mean it is dry, easy or efficient to paddle. To have less water coming in the scuppers and be more efficient when paddling (the kayak moves further per paddle stroke) you should look at a number closer to 50%. So for gear and a person to remain fairly dry and be efficient paddling, a 350 pound weight capacity would best be paddled by someone weighing around 150 pounds. That would give you about 25 pounds for gear. That may be some new information for lots of folks. It may also explain why you are getting quite a bit of water in your scuppers if you have a sit on top. Scupper plugs can help but if you really want to be efficient (and less wet) calculate what you need for the weight capacity to be. Entry level kayaks are often lower in the weight capacity. Make sure you check that number. For under a thousand dollars you can get into several different makes or models that have 450 pound capacities. And keep in mind, that’s purchasing new. Many folks can find great deals on used kayaks that are better made and with higher weight capacity. If you don’t know what you are looking for when you look for a used kayak, take a long time paddler. If they aren’t available, I’d be happy to help. Feel free to send me a message and I’ll do what I can electronically. Posting in fishing forums can also be a help. Many kayakers have gone through the process and can talk to you about key things to consider. The most important thing though, before you buy, if at all possible, is demo, demo, demo! Have a question or comment? Let me know! What do you guys want to talk about next week? The basic idea is to not exceed 20-30%of the total displacement weight including machinery and people. A little law lesson! Good to know where it comes from. So we know that these are established by a formula but how does it translate? Let's dig further. Capacity is equal to max displacement-bo at weight divided by seven. I'm going to simplify this a touch. If the boat weight is 65 pounds and the capacity is listed at 350 it will look like this. Max displacement is = 2515. What exactly does that mean to the consumer? For most of us, not a lot. The statement," The weight capacity indicates the amount of weight a kayak can hold and still float" I made is simplified and not technically correct as pointed out. To get the max displacement number they add weight to the boat and measure the weight of the water displaced, not just try to sink the boat and call it good. Thanks for the clarification MC. Actually this is a great discussion. I'm not trying to pick you apart just to put things in perspective. The real point is that factor of 7. In your example the 2515 is very important. That is 10 times the normal persons weight (yes even a larger person). This means that the government in its infinite wisdom greatly understates what it would take to sink a kayak by about 7 times. That is very important and good in that it gives a large margin of safety. If you don't believe me get five to eight people to try and submerge a sit-on-top kayak in shallow water. You'll be amazed how difficult it will be if you can even do it. Another example is the Ride 115 and its rating of 500 pounds. This kayak would take a force of 3422 pounds to submerge it. I tried to sink it with sand bags and couldn't fit enough on top to submerge it totally. It's amazing where your mind can wander when contemplating since and math problems. This might be the wrong place to ask this but each week where would we ask questions on the newest blog post? Feel free to ask them right here. My head is spinning with all this E = mc2 talk... lol So basically the numbers listed for weight capacity are approx 6x the real kayak sinking capacity. Sorry Jason, we can get our science geek on every now and again. So basically, it would take 7 times the weight capacity listed to do that (minus the boat weight) but the "rule" still stands that you should subtract at least 25% from the listed capacity to allow the boat to perform as intended. You may not sink if you exceed it but it will be hard to paddle and you will definitely be getting wet. I was interested in buying a sun dolphin journey 10aa which The weight rating is 250 I'm weighing in at around 275 will this thing still keep me afloat? Yes, since you do not weight 7 times the weight rating. But the boat will not handle as designed/intend ed. I'm a beginner looking to purchase my 1st kayak but unsure of this weight capacity issue. I;m looking to buy the Sun Dolphin Aruba SS Sit-in Kayak that has a 260lb weight capacity. I'm 5'6" and weigh 219lbs. Is this kayak sufficient for me? It will be close with your fishing gear etc. I got this kayak (Sun Dolphin Journey 10 sit-on) yesterday and took it out in the Gulf of Mexico this morning, which was rather calm. I weigh 175 lbs and took a fair amount of gear, though i didn't weigh it (a back pack with tackle, a backpack with half a gallon of water, snacks, and one fishing pole). I've never paddled a kayak before, but i thought it handled very well. If i were you, I'd bring as little great as possible, but definitely bring enough water. But it should work! I just went kayaking for the first time on a tour. I am now interested in purchasing my own kayak. I am similar to Alyssa's husband, I am 6'2 300 lbs but I would be using mine for just cruising flat waters. So based on the answers I've seen above, I would be just fine purchasing a kayak with a weight limit of 325-400 or more? I am 5 3 and weigh approximately 260 pounds right now although I'm shrinking. What size kayak would I need to get at this point? Hello i like to go fishing frequently every month. But want to buy my self a kayak. But weight capacity is a big wait for me when searching for the perfect kayak. Im a big guy 6 ft tall weighing at 370 lbs. Dont know what to do??? Either look for a 450 lbs wieght capacity kayak or what?? What do you all recommend?? Please refer me a kayak for solo fishing that has a 450# weight capacity. Are you able to explain to me the difference between max payload and max tonnage? I am looking at getting an inflatable kayak where the max payload is 342 lbs and the max tonnage is 639 lbs. Which number would i be using to compare (2 person) body weight?